OLD PARKED CARS. 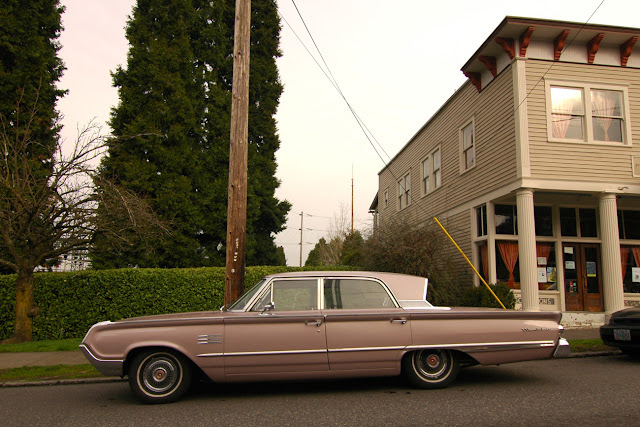 : A Very Mercury Monday: 1964 Mercury Montclair. 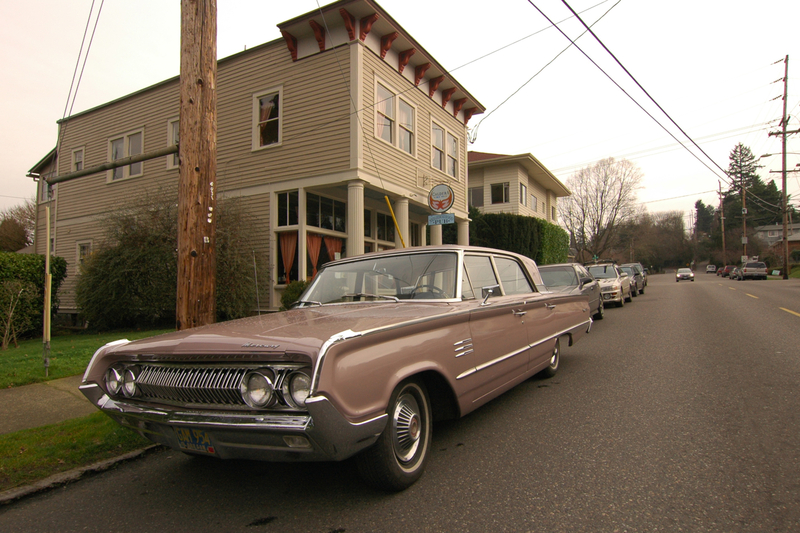 A Very Mercury Monday: 1964 Mercury Montclair. Anyone hankering for some video? Because the Oldparkedcars Youtube channel has landed. Whaaatt! Videos? That's pretty cool. Love the rear end. That backward slant rear window makes the trunk look even bigger. Those front wings extending past the grill are always awesome too. I was in Portland a couple days ago; saw the Plymouth Arrow/Dodge Van, and a beige Mustang II Mach 1, but those were the only ones posted on here I saw. Ha! Judging by your spottings, you passed within one block away of where this very car was parked! Feel free to email me a hint about where you spotted those Datsuns, I know that's cheating but I'm excited to see a 310GX. The iPhone is really not going to be the ideal tool for this project, but I knew video would be a fun learning project just like photo has been. Not sure every video will be embedded, but Youtube will allow for some very unique content so I look forward to watching the subscriptions and comments. wow, Ben, so you've gone and pulled the trigger. I'm almost scared to see where this leads, but that's exactly the point. I really dig these '60s mercs, and I haven't seen either of them, or the 310gx for that matter. crazy! love this car from every angle. The video shows how wonderful this car is in ways the photos don't! Hey! I used to get asphyxiated in the back seat of one of these! It was what Merc termed, "cream yellow, in actuality is was BANANA YELLOW! This is a wonderful car. I'm SO GLAD to see it here. Great job, OPC! You guys are amazing! It's a calico Mercury- the front end is '64 but the back clip and taillights are '63. What an absolutely gorgeous yacht, that rear shot really talks. I remember my late father winning a sales contest at his company. His reward was having this as his company car for 6 months. 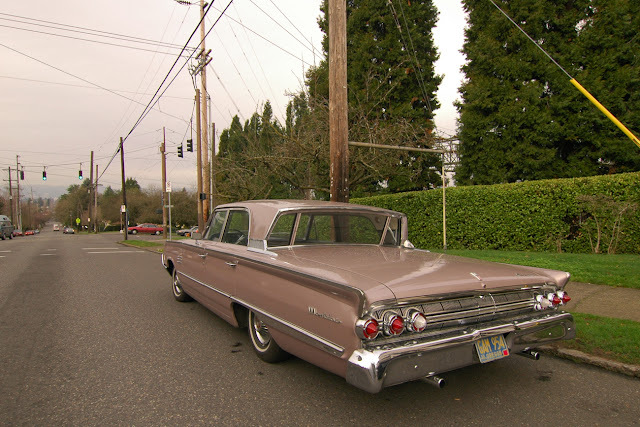 I remember it felt like riding in a convertible with the rear power window down. What a strange feature. It's a shame no car companies follow through with unique ideas like that. Much classier than the crossover (whatever they claim to be!). oh that 310 behind the fence. yes, i salivate each time i drive that route. My bachelor uncle had one of those in blue - my brothers and I thought we should never get married, if it meant we got one of those! My father had one of these around the time that I was born, of course I don't remember the vehicle itself, but when I watched the video I remembered those taillights. My father had replaced a couple of the taillights and kept the originals. As a kid I would play with them, but I had no idea what they were. lol.. Great car and video!